Bruce Wayne is well known for using his ludicrous wealth to fund his exploits as The Dark Knight. Unsurprisingly, Ben Affleck’s Batman in Zack Snyder’s global blockbuster, Batman v Superman: Dawn of Justice, is kitted out with some of the most incredibly advanced technology that money can buy. 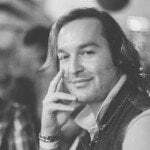 However, instead of rehashing the same technology from previous Batman movies, Zach Snyder’s vision of The Caped Crusader completely reimagines and reinvigorates Bob Kane and Bill Finger’s beloved superhero for an entirely new generation. 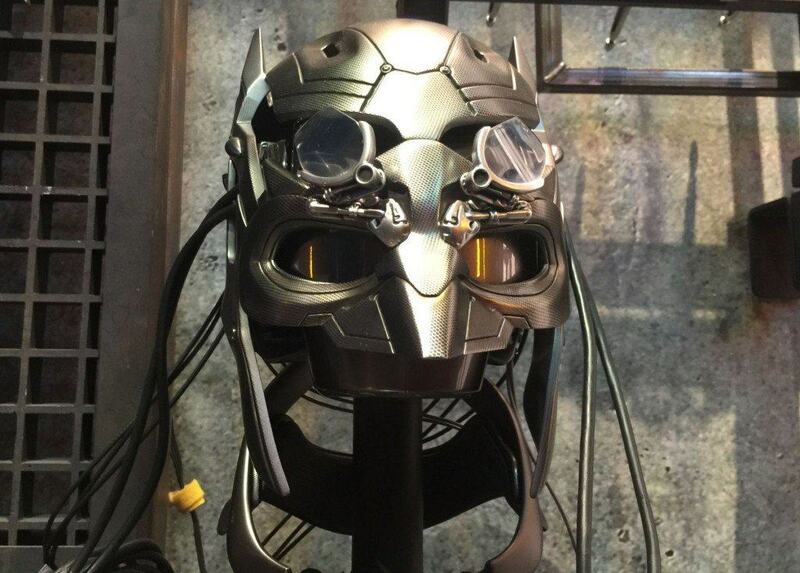 Below are the best pieces of ‘Wayne-Tech’ that featured in Batman v Superman: Dawn of Justice. One of the best aspects of the Batman from Batman v Superman: Dawn of Justice is how steeped in reality the character is, which makes him incredibly believable. The key to this realism is, without a doubt, the highly advanced ‘tech cowl’ that Alfred Pennyworth crafts for Bruce Wayne. The tech cowl includes a voice changer (no more hoarseness, a la Christian Bales incomprehensible Batman), a variety of communication technologies (Cellular, WiFi, Bluetooth, Radio etc), several visual lenses (night vision, macro/micro vision) and, most importantly, it provides protection for Bruce Wayne’s fragile cranium. Everyone knows that Batman has an aversion to firing guns with live ammunition because of what happened to his parents. It is for this very reason that Batman’s weapons are so unique and technologically sophisticated. Instead of weapons that simply kill criminals, Batman’s weapons are far more elegant in that they are used to incapacitate criminals to the point whereby they beg for the pain to end. That is Batman’s way. 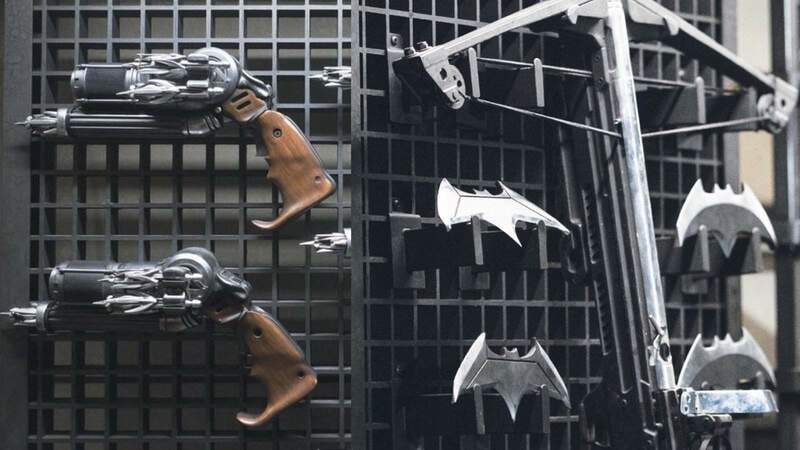 Batman’s arsenal in Batman v Superman: Dawn of Justice includes everything you would expect from the Bat of Gotham including, but not limited to, Batarangs, grappling hooks, sticky bombs, grenades, gas canisters, stun guns, weapon jammers and heavy weapons that fire debilitating rubber bullets. It goes without saying that his utility belt is not just a fashion statement. The primary driving force behind Batman v Superman: Dawn of Justice is that Batman goes up against Superman in battle. Thing is, the Last Son of Krypton is not only super powered, he is also practically indestructible (Kryptonite aside), whereas Bruce Wayne is a mere mortal. The answer lies in a suit that is so technologically advanced that even Marvel’s Iron Man could learn a thing or two from it. 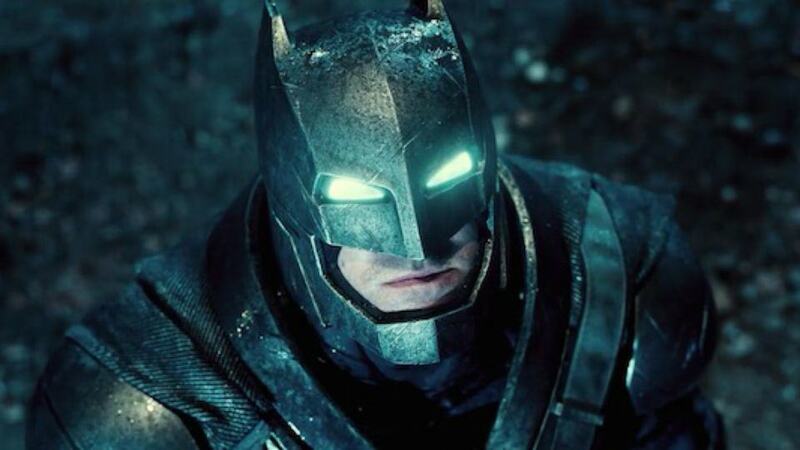 Batman’s ‘Mech Suit’ is the primary way in which Bruce Wayne decides to dish out humility to Clark Kent in Batman v Superman: Dawn of Justice. The suit is an incredible feat of engineering and technology. Not only does it include lead in its core design, thus preventing superman from using his x-ray vision to learn Batman’s identity, but it also includes (going on information from both the movie and the comics): Kryptonite laced gloves for extra “oomph” during punches, x-ray vision, heat vision, subsonic hearing, night vision, heat sensors, a variety of pouches and compartments for ammunition and grenades, and a multitude of mechanics to help Batman jump higher and farther, as well as punch harder. Batman’s Mech Suit is, without a doubt, one of the highlights of the film. There is no Batman without a Batmobile. 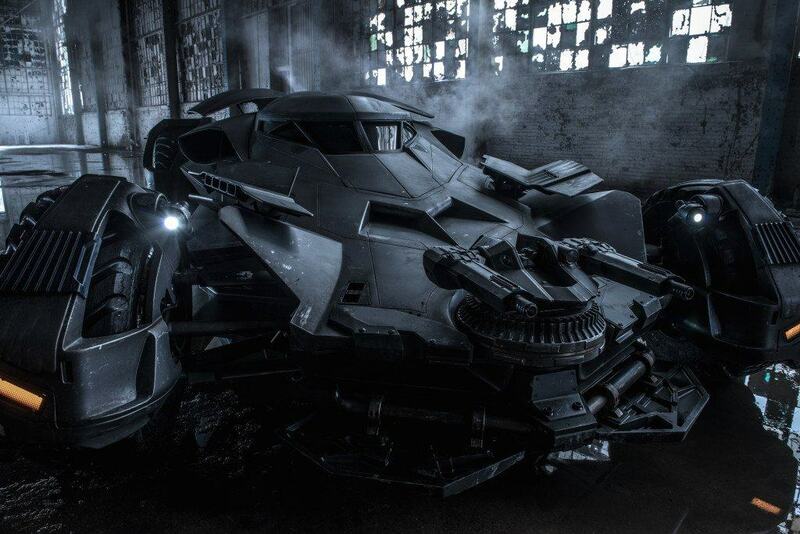 The Caped Crusaders ‘car’ is just as iconic as Batman himself, and fans will be happy to know that the new Batmobile builds on the incredible militaristic ‘tumbler’ from The Dark Knight’ trilogy. Unlike the previous incarnation, the new Batmobile is much sleeker than before, featuring a lot of ‘bat’ inspired attributes (liked winged doors) and has, subsequently, become even more menacing. The Batcave has had a complete and utter makeover for Batman v Superman: Dawn of Justice. Gone are the dark and murky vestiges of caves of movies past. This time around, Batman has swapped stalagmites and stalactites for smooth industrial concrete, open lines, floor to ceiling glass window panes and technology so advanced that it induces visions of paradoxes in time (watch the film to understand this reference). The new and improved Batcave is, hands-down, the best and most well realised hideout yet seen on film for Batman. For the first time, it is befitting of a billionaire who actually gives a damn about where he spends a lot of his “superhero” time. Batman’s lair is no longer a sight for sore eyes and could easily feature in a spread for a home decor magazine. Despite the issues that the movie may have, it is a fun film that does a great job of portraying batman at his finest. Putting the wondrous Superman and exhilarating Wonder Woman aside, it is Batman with his believable technology and ‘down and dirty’ fighting style that really stands out in Batman v Superman: Dawn of Justice. It goes without saying that “Batman’s Technology” is an aspect of the film that works incredibly well, one that offers terrific insight into the Batman that will head The Justice League, Part 1 (2017).